Graph algorithms are the key to gaining powerful insights from connected data. Any organization today – from research labs to retail chains – that more finely leverages graph analytics arrives faster at extracting valuable insights from huge, complex volumes of data. This section provides an overview of graph algorithms and their uses, while also illustrating their relevance in the modern big data landscape. The bulk of this book is written as a practical, detailed guide for using graph algorithms with a quick reference table, use cases and example code. 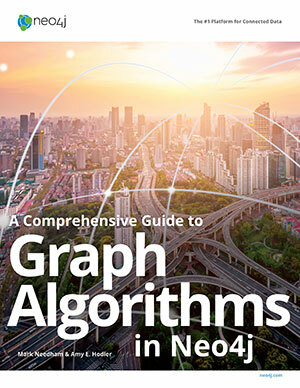 Fill out the form to download A Comprehensive Guide to Graph Algorithms in Neo4j.